Pranjal has come to this world with a unique heart having a hole in the heart, Yes she is suffering from Congenital Heart Defect . She is all but 8 months old. About the Family : Parents reside in Shahpur. Father works as a driver and earns a meagre income. 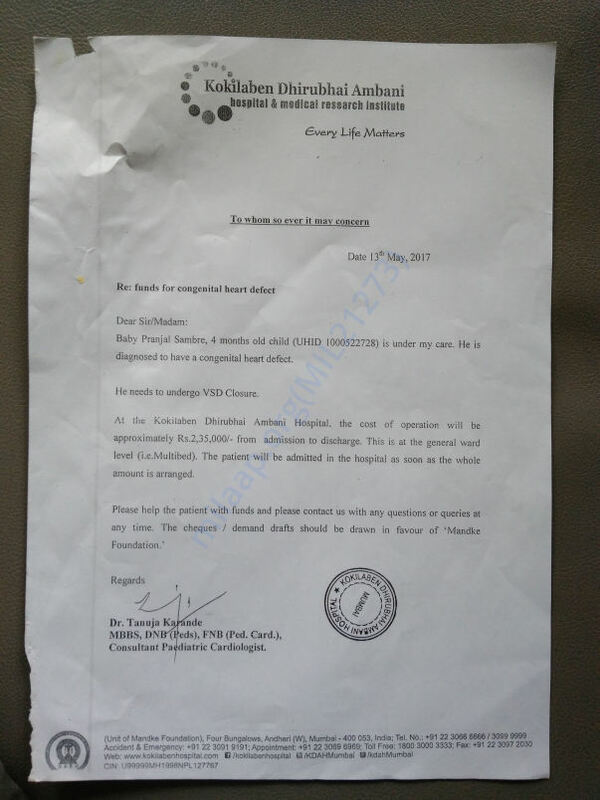 Finally they got some funding from hospital social worker and also through other means and was finally able to admit her in Kokila Dhirubhai Ambani hospital in Andheri, Mumbai. Current Status : She is in ICU and was on ventilator support till 27 Sep 2017. 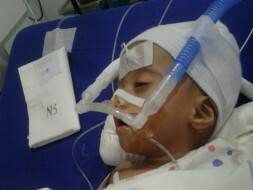 Expectation : Please help in funding their medical expenses. Here is an update on baby Pranjal. Baby has moved out from ICU due to your blessings. Doctors have said they might discharge tomorrow. However the discharge bill is coming around : 8 lac. Still I am withdrawing this small amount so that it makes some difference to them.